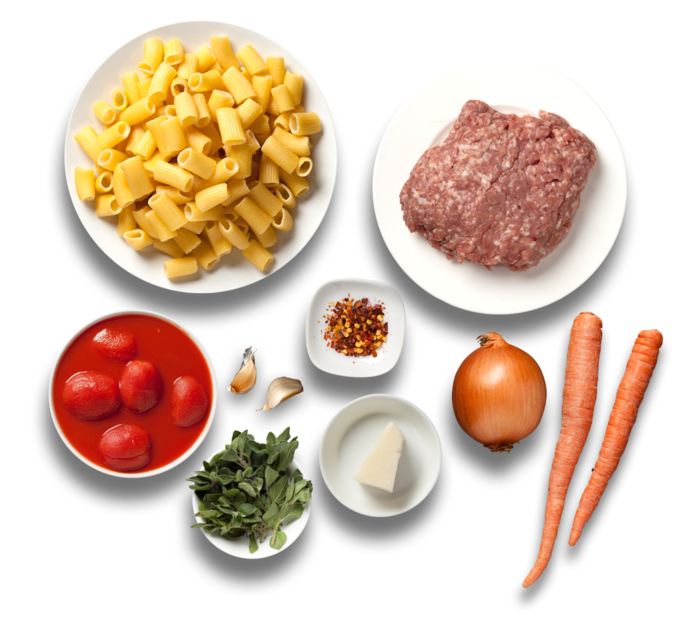 Many believe the Italian word “ragu” came from the French version, “ragout,” during Napoleon’s invasion of Northern Italy in the late 1700s. 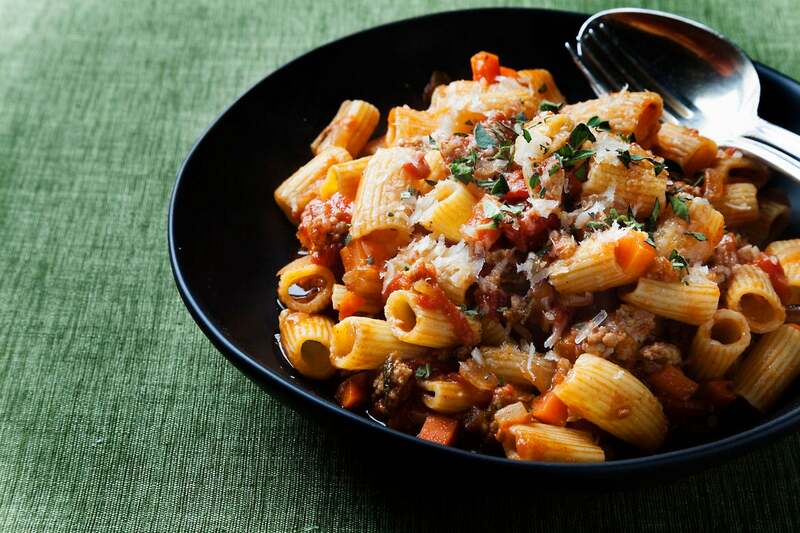 Now, it’s simply known as a rich, slow-simmered, meat-based sauce that’s served with pasta. In our simple take on the classic, the finishing touch of salty Pecorino Romano cheese balances the sweetness in the sauce of carrots, onion, and tomatoes. Heat a medium pot of salted water to boiling on high. Peel the onion, carrots, and garlic. Small dice the onion and carrots, and slice the garlic. Pick off the oregano leaves and roughly chop them. Grate the Pecorino cheese. Transfer the canned tomatoes and juice to a medium bowl. 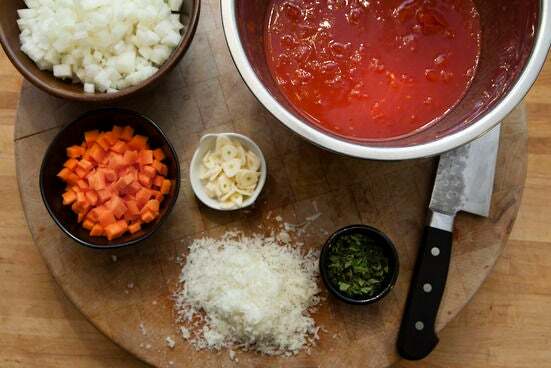 Using your hands, or carefully using the sharp edge of the can’s lid, cut the tomatoes into smaller pieces. Heat some olive oil in a large pot on high until hot. 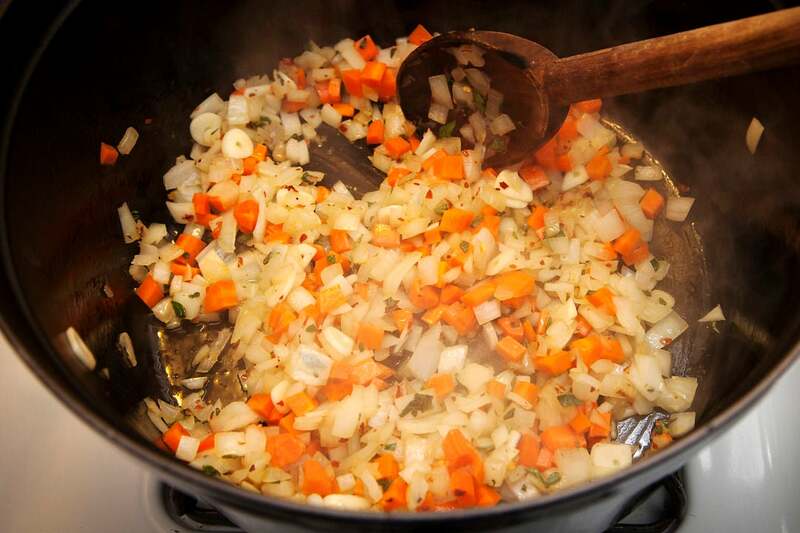 Add the onion and carrot, and cook 3 to 4 minutes, or until the carrots start to soften. Add the garlic and red pepper flakes and cook 1 minute longer, stirring. Add the pork and half of the chopped oregano, breaking up the meat with a spoon. Cook about 5 minutes or until browned. Season with salt and pepper. Add the tomatoes with your hands to break them up even further. 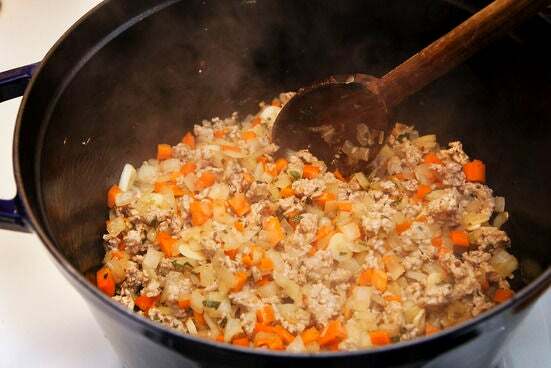 Allow the mixture to come to a simmer, then reduce the heat to medium-low and simmer 10 to 15 minutes or until the sauce thickens. 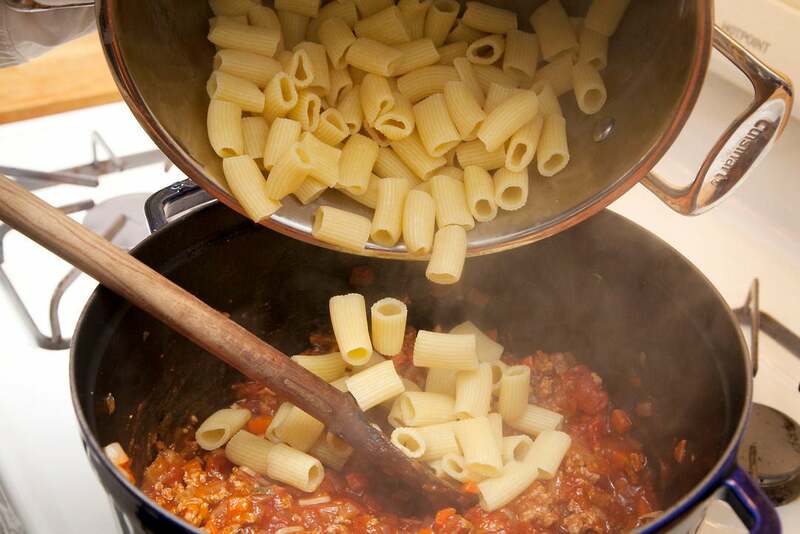 After the sauce simmers for about 5 minutes, add the rigatoni pasta to the pot of boiling water. 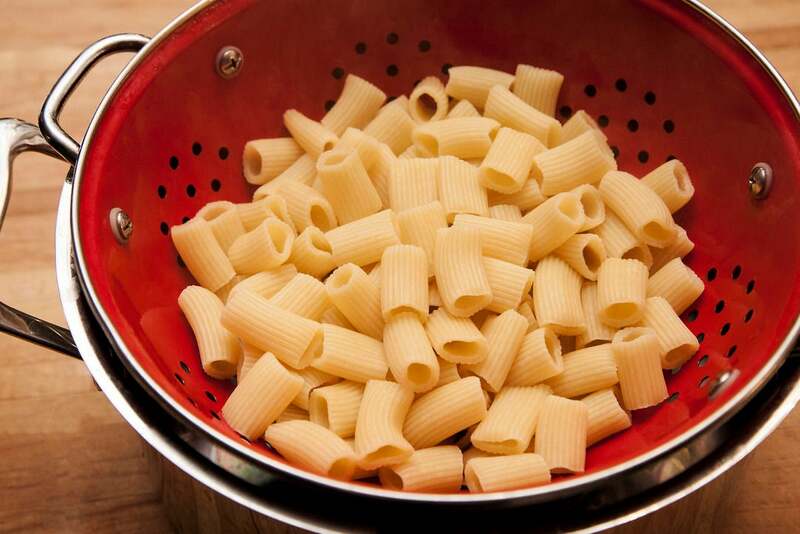 Cook 5 to 7 minutes, or until al dente. Drain the pasta, reserving some of the cooking water. Divide the pasta and sauce between 2 dishes. 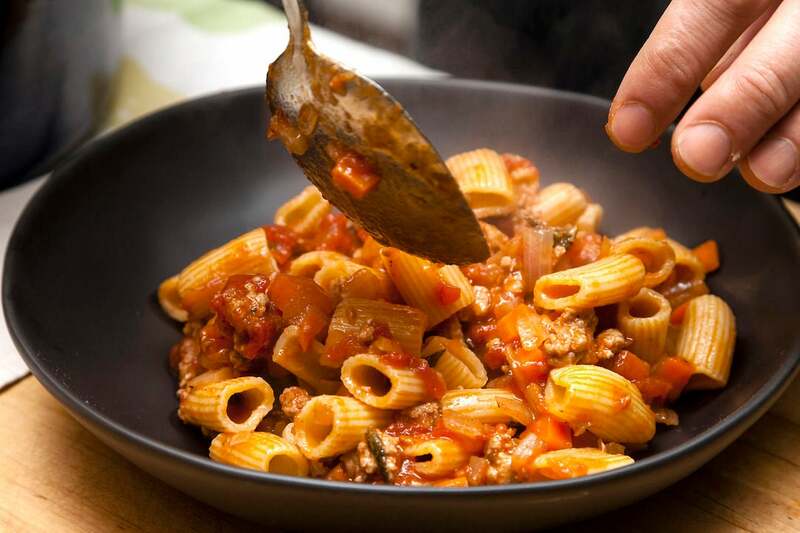 Sprinkle each with the grated Pecorino and the remaining chopped oregano. Buon appetito!